Boca Raton-based I Heart Mac & Cheese, a fast-casual concept specializing in customizable, made-to-order macaroni and cheese, grilled cheese and salads, has named Daniel Collins President & Chief Development Officer, effective March 5, 2018. Collins is responsible for the strategy and growth of the brand, overseeing operations, training, marketing, construction and design, real estate and all franchise development efforts. A lifelong franchise industry professional, Collins has been instrumental in setting strategy and developing systems, policies, processes and procedures to place companies on the path for national and international expansion. With more than 30 years’ experience, Collins initially worked in operations and training, eventually making the transition into business development for franchised restaurant companies such as Arby’s, Johnny Rockets, Kenny Rogers Roasters, Miami Subs and others. For the past nine years he has led a consulting company based in West Palm Beach, FL, that works with emerging and high-performing companies to optimize brands for franchising and identify operators as multi-unit franchise partners, setting them up for franchising nationwide and growing across the nation and internationally. Collins is recognized as a Certified Franchise Executive by the International Franchise Association (IFA) and is a graduate of Florida International University’s School of Hospitality Management. He is also a graduate of the Nova Southeastern University’s Franchise MBA program. He is a Mentor with FIU, Endeavor, and an Advisory Board Member for the Titus Center for Franchising at Palm Beach Atlantic University. I Heart Mac & Cheese is a fast-casual concept specializing in customizable, made-to-order macaroni and cheese, grilled cheese sandwiches and salads. The concept is built on a platform of low initial investment, great Unit Level Economics and simple operations with few employees. It has been announced that Yang Ming Ong has been appointed Vice President of Business at Texas Chicken®. Ong will oversee key functions throughout the Asia Pacific, Middle East, and the Black Sea Basin which covers more than 16 countries. As part of Texas Chicken team based in Singapore, Ong’s strong management and operations experience will be key in overseeing operations, training, development, marketing, and strategy functions across brand markets. Previously, Ong held leadership positions in operations, finance and strategy at Yum! Brands and most recently served as Head of Strategy and Franchise Profitability for KFC Asia. He served as part of a regional leadership team where he developed the strategic roadmap for Yum! Brands and drove franchise margin enhancements while supervising the brand’s extensive regional supply chain. Prior to Yum! Brands, Ong was with the Boston Consulting Group (BCG), advising corporations on turnaround and growth strategies with a focus on emerging markets. Ong is a Malaysian citizen and grew up in Kuala Lumpur. He holds a Master’s degree in Economics from the University of Cambridge, U.K. and an M.B.A. from INSEAD, Singapore. 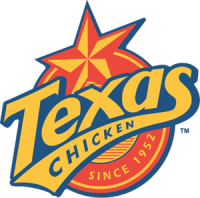 Founded in San Antonio, TX in 1952 by George W. Church, Church’s Chicken® along with its sister brand Texas Chicken Outside of the Americas, is one of the largest quick service restaurant chains in the world. The brands specializes in original and Spicy Chicken freshly prepared throughout the day in small matches that are hand-battered and double breaded, Tender Strips®, honey-butter biscuits are made from scratch, and freshly baked, classic, home-style sides all for a great value. Church’s Chicken and Texas Chicken have more than 1,650 locations in 27 countries and global markets, and system-wide sales of more than $1 billion. McAlister’s Deli®, a leading fast-casual restaurant chain home to handcrafted sandwiches, always-fresh salads, giant stuffed spuds, and McAlister’s Famous Sweet Tea™, announced veteran leader Joe Guith has been promoted to brand president. Joe Guith joined FOCUS Brands, parent company to McAlister’s Deli, in 2014 as Chief Operating Officer for Cinnabon®, and quickly assumed the role of brand president in 2015. In the three years Guith was president, he drove significant P&L results through strong performance management, application of process-driven improvements and building collaborative, high performing teams. Prior to joining FOCUS, Guith held roles in general management and strategy with Coca-Cola, where he served as vice president, Global Business Development and vice president, Vending Operations, and Yum! Brands where he served as general manager, KFC, South Territory. Founded in 1989, McAlister’s Deli® is a fast casual restaurant chain known for its genuine hospitality, sandwiches, spuds, soups, salads, desserts and McAlister’s Famous Sweet Tea™. In addition to dine-in and take-out service, McAlister’s also offers catering with a selection of sandwich trays, box lunches, desserts, a hot spud bar and more. With numerous industry accolades, the McAlister’s brand has more than 400 restaurants in 28 states. The company is headquartered in Atlanta, Ga.
Burgerim, a new, rapidly growing gourmet build-your-own burger eatery announced the appointment of Tom Meiron as Chief Executive Officer. In his position, Meiron is tasked with driving impactful business results through leveraging data, creating and implementing efficient systems and comprehensive execution plans for the brand. Exemplifying Midwestern roots and values throughout his career, Meiron possesses multifaceted experience as both a franchisee and a franchisor in franchise development, along with restaurant and hospitality management. With a background in accounting and finance, Meiron’s storied career began in the hospitality sector, where he climbed his way to a food and beverage director position by his college years. Later entering the franchising industry, Meiron joined PepsiCo, where he managed 40 Pizza Huts and opened 200-plus stores in Arizona and California. Following, he became one of Papa John’s Pizzas first large-market franchisees west of the Mississippi, opening 60 locations in Arizona and California. Additional franchise experience includes brands such as: Subway, Taco Cabana, Holiday Inn Hotels, Big Boy Restaurants, Marriott Hotels and Dental Fix Rx. Meiron was also President of the Los Angeles Marketing Cooperative, responsible for marketing and branding for more than 130 Papa John’s Pizzas and undertaking the role of Franchise Advisor for the stern United States. Recognized for his skillset, Meiron has received accolades such as “Marketing Co-op of the Year” and was a two-time “Franchisee of the Year” runner up. Passionate about entrepreneurial spirit and the community, Meiron has lectured at the University of Arizona Graduate School of Business and served as a founding member of Social Venture Partners in Arizona, where he offered pro bono services and counsel regarding small business management and long-term success. Meiron has created an executive team of fresh talents including Chief Marketing Officer and brand guru, Jun Roxas, and VP Operations, Bryan Duff. Café Yumm! has promoted longtime team member Kimberly Ely to the new position of Chief Operating Officer. This strategic promotion is important to a three-year development plan that Beau Delicious! International, LLC (BDI)—the franchisor of Café Yumm! restaurants—is putting in place. Kimberly Ely’s promotion to Chief Operating Officer will allow her to supervise operational initiatives in supply, restaurant operations, information systems, and administrative departments, as well as oversee the financial services at Café Yumm!. Ely will transition from her primary duties as Director of Finance by hiring a controller. Since 2006, Ely has been employed by BDI, which owns and operates as Café Yumm! in addition to selling franchise restaurants and distributing proprietary fine food products to franchisees, grocery stores, and by mail order throughout the US. Ely’s education includes a bachelor’s degree in accounting from the University of Oregon, completion of the Eugene-Springfield Leadership Program, and an MBA (management focus) from Willamette University. Her previous work experience includes quick service restaurants, retail, and banking. “Early in our business, my wife Mary Ann and I had to cover multiple positions. For example, I was dishwasher, marketing manager, and handyman, among other duties. Similarly, Kim has covered everything from bookkeeping and HR to filling in at our warehouse. It is wonderful to have outgrown those days with our continued expansion in recent years. With Kim’s new position as COO and recent strategic hires in facilities, operations, sales, marketing, and project management, I can focus on innovation, as well as restaurant and food development,” adds Beauchamp. “I aspire to bring more organization and build efficiencies through process innovation. I’m all about metrics. Helping Café Yumm! exceed industry benchmarks, while maintaining our unique focus on social and environmental aspects, will set us apart,” adds Ely. Café Yumm! is an Oregon-based restaurant system, franchisor, and fine foods distributer founded in Eugene in 1997. Café Yumm! had two restaurants when franchising began in 2007. Twenty restaurants, both franchised and company-owned, have opened in the past decade (including one location opening later this month). Captain D’s, the nation’s leading fast casual seafood restaurant, announced today that Brad Reed has been promoted to chief development officer. Previously serving as vice president of franchise operations, Reed has been with the company for more than seven years and has been highly instrumental in driving the brand’s ongoing development efforts throughout his tenure. He assumed his new role as chief development officer in February and is responsible for spearheading Captain D’s growth through franchising and real estate development in key target markets throughout the country, as well as driving new franchisee recruitment. Captain D’s has experienced a surge in franchise and corporate development fueled by its ongoing success over the past several years, with 2017 marking another year of substantial growth for the brand. Coupled with its ongoing menu innovation, the company credits its new restaurant beach design with contributing to the brand’s ongoing strong performance. To date, nearly 75 percent of all restaurants have been reimaged to the brand’s new vibrant, coastal design. With these efforts, Captain D’s has remained true to what it does best — serving high-quality seafood with warm hospitality at an affordable price in a welcoming atmosphere. Headquartered in Nashville, Tenn., Captain D’s has 535 restaurants in 22 states. Captain D’s is the nation’s leading fast casual seafood restaurant and was named the #1 seafood chain in the QSR 50, ranked by AUV. Founded in 1969, Captain D’s has been offering its customers high-quality seafood at reasonable prices in a welcoming atmosphere for more than 48 years. Captain D’s serves a wide variety of seafood that includes freshly prepared entrees and the company’s signature hand-battered fish, which is cooked to order. The restaurants also offer premium-quality, grilled items such as shrimp, and surf and turf, as well as hushpuppies, desserts and freshly brewed, Southern-style sweet tea, a Captain D’s favorite. On The Border Mexican Grill & Cantina®, the world’s largest Mexican casual dining brand, has named industry veteran Matt Hood as President and Chief Executive Officer. Matt Hood will take over On The Border’s top leadership position in April 2018 after over 20 years of delivering best in class results by building brands and driving operational excellence for restaurant concepts. Hood brings a track record of leading brands to outperform through innovative marketing programs and strong operations as evidenced by his previous leadership positions as Chief Marketing Officer at The Habit Burger Grill, Chief Marketing Officer of BJ’s Restaurants, and SVP of Marketing and Brand Development for Carino’s Italian Grill. Hood is a respected restaurant industry leader, who has also served as the national Co-Chair of Dine Out for No Kid Hungry and an industry consultant for Google. Coincidentally, Hood started his restaurant career at Brinker International, Inc. during the time it acquired On the Border in 1994 and is quite familiar with the brand’s strong roots in providing customers a unique “cantina” experience. Hood is a graduate of Kellogg Graduate School at Northwestern University, where he holds a Master’s Degree in Business Administration. He also holds a Bachelor’s Degree in Advertising & Public Relations from Texas Christian University. He also serves on the Operator Advisory Board for Technomic and is a former Board Member and former Co-Chair for the National Restaurant Association’s Marketing Executives Group (MEG). 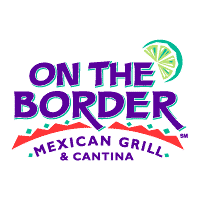 On The Border Mexican Grill & Cantina is the world’s largest Mexican casual dining brand with 158 restaurants in 32 states, Puerto Rico and Asia. Known for its award-winning Margaritas, house-made salsa, and sizzling mesquite-grilled fajitas, On The Border is a fan-favorite destination for authentic, contemporary Mexican food and vibrant good times. Owned by Border Holdings, LLC. Previously, Casey served as president of Qdoba Restaurant Corporation as well as president and Chief Executive Officer of MFOC Holdco, Inc., the parent company of the Mrs. Fields brand and TCBY. He has also held leadership positions with Starbucks, International Coffee & Tea, Circle K, and Southland Corporation. Casey will report to Christian Charnaux, who recently joined Inspire in the newly created role of Chief Growth Officer. Charnaux previously served as Senior Vice President of Corporate Finance for Hilton. He will be responsible for leading growth opportunities across the enterprise. Inspire Brands is a multi-brand restaurant company whose portfolio includes more than 4,600 Arby’s, Buffalo Wild Wings, and R Taco locations worldwide. The company was founded in 2018 and is headquartered in Atlanta. In March, R Taco, announced the recent openings of two new locations in Beaumont, Texas and Murphy, Texas. R Taco has 26 company-owned and franchised locations serving street-style tacos across the U.S. R Taco features a welcoming atmosphere with quirky décor, bold colors, an open ceiling and open kitchen, with natural and industrial lighting. Service is provided for breakfast, lunch and dinner. Taziki’s Mediterranean Café has named Dan Simpson as its new CEO. Simpson previously served as the restaurant’s Chief Innovation Officer from May 2016 through February 2018. During this time, Simpson was instrumental in the growth of the restaurant brand visiting Taziki’s locations in all 16 states where the chain has a presence, gathering both customer and employee feedback. Taziki’s recently opened its 83rd restaurant in West Chester, Ohio last month. Simpson is working closely with Founder Keith Richards as the restaurant plans include having 100 locations open by 2019. The two have worked closely with Taziki’s board and staff to form a clarified purpose, mission and brand values to guide the next 20 years. Richards is managing the flagship market in Birmingham, Alabama and will continue to lead Taziki’s culinary R+D and the HOPE program, Taziki’s signature charity. The HOPE Program began after Richards decided to get more involved with special needs education. His restaurants have always employed those with special needs, but he realized they needed more opportunities. The fresh, locally grown herbs – parsley, oregano, cilantro, basil, and rosemary – are grown by students at various HOPE programs across the U.S. and used to flavor the local restaurant’s Mediterranean-style foods. The overall goal of the HOPE Program is to teach students with special needs all aspects of the herb business using skills that will transfer to other jobs. Virginia just began its own HOPE Program last week and is the ninth of its kind, with others in Little Rock, AR, Nashville, TN, Morgantown, WV, Atlanta, Ga., as well as Birmingham, Huntsville and Dothan, AL. Richards will be traveling to Greece with his wife Amy and two sets of twins this summer to develop new menu items for the restaurant. The new design elements that Simpson launched for Taziki’s restaurants include community tables established to create a welcoming environment for conversation within the exposed stone and painted white shiplap adorned walls. Shades of bright white and deep ocean blue can be found in the restaurant’s interior accent pieces. Hanging wicker lanterns provide a warm yet fresh ambiance, highlighting Taziki’s delicious menu teeming with original chef-driven recipes prepared daily from more than 100 fresh produce items as well as more than 60 herbs and spices flavoring the food. All meals are prepared from raw ingredients much like you would use in your own home. Taziki’s does not use fryers or microwaves while preparing meals for customers. Natural lighting streams from windows and exposed wooden beams in the ceiling provide the experience of dining outdoors. In the back of the restaurant, a community board lists local non-profit events with information about how to participate, furthering the at-home, communal feel. As a Taziki’s franchisee and managing partner at Fresh Hospitality from January 2015 until May 2016, Simpson learned what customers wanted and observed an over 60% increase in the amount of online and to-go orders in the past five years. Prior to joining the Taziki’s family, Simpson was also the founder and CEO of ToGo Technologies from May 2012 until January 2015. Later this year, Simpson will be launching TazRewards, Taziki’s rewards loyalty program, that works both in-line and on-line through Taziki’s app, as a way to say thank you to the restaurant’s growing community of loyal guests. Simpson was also the Chief Development Officer of Dispensary of Hope, Nashville, TN from May 2008 until May 2012. Similar to Taziki’s Founder Keith Richards, Dan’s heart seeks to tie Taziki’s back to local communities and bring people together over delicious food. Dan earned his BS from Clearwater Christian College followed by his MBA from West Virginia University. Born in urban Philadelphia, raised in rural Maine, Dan and his wife, Kim now live in Nashville, TN with their 3 kids. Dan serves on the boards of the Shalom Foundation/Moore Pediatric Surgery Center and Dovehouse Ministries and is a member of TedXNashville Society of Fellows. 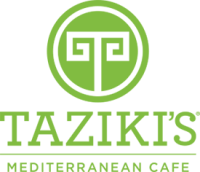 Taziki’s Mediterranean Café is headquartered in Birmingham, AL and currently has 83 locations in 16 states. The recipes are all made fresh and inspired by Mediterranean cuisine. The menu features freshly grilled meats, original sauces, and healthy side dishes. Taziki’s is open for lunch and dinner, and offers take-out as well as catering for events large and small. On March 27, 2018, the Board of Directors of Not Your Average Joe’s appointed Peter D’Amelio to become the Chairman and CEO, succeeding Stephen Silverstein, the company’s Founder. Mr. Silverstein will continue in his role as a Director and will be a consultant to the Company. In addition, Mr. Silverstein has purchased the Dartmouth Not Your Average Joe’s restaurant (it’s original location) and will operate that location as an independent licensee of the company. Not Your Average Joe’s was founded by Stephen Silverstein in 1994. Today, Not Your Average Joe’s operates 22 restaurants in 6 states, employing about 1,600 and serving 4.5 million happy guests a year. Peter D’Amelio joined Not Your Average Joe’s as President in September 2017. Peter has had a remarkable career in the restaurant industry, having held executive positions with some of the best companies in the industry, including his 18 years at Cheesecake Factory where he was President for 5 years. 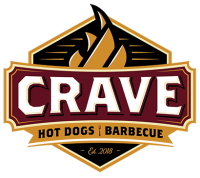 Crave Hot Dogs and BBQ began in 2018 and are unique and trendy fast casual BBQ and Hot Dog Joints that offer BBQ sandwiches and sliders along with 100% All Beef Hot Dogs, Brats and Sausages grilled to perfection. This week Crave has named Jake Moran as the Director of Operations and Training. “Jake is joining our corporate team at a perfect time as we are expanding across the South and want to offer nothing short of exceptional support and knowledge to our franchisees. There is no one better for this position than Jake,” said Samantha Rincione, Chief Operations Officer. Jake has over 7 years of experience in various areas of the restaurant industry. Jake has vast knowledge and experience in all Restaurant Operations as well as Training. Jake worked with Samantha Rincione, helping oversee all aspects of Operations and Training for 10 Red Mango and Smoothie Factory Restaurant and cafes. Jake’s responsibility as the corporate trainer entailed ensuring all franchisees were trained in accordance with brand standards. The Krystal® Company, the beloved restaurant brand founded in 1932, announced today that it will welcome Paul M. Macaluso as its new Chief Executive Officer, effective immediately. Macaluso is an enthusiastic, hands-on leader with a 25-year reputation for driving results at respected brands throughout the industry. Macaluso brings a diverse breadth of experience to the job, having extensive marketing and operations experience in the restaurant space in addition to a long line of executive and senior leadership positions. Macaluso has a strong history of impact in the restaurant industry across marketing, operations and digital initiatives. He began his career with YUM! Brands Inc., starting as a general manager and ultimately holding several management roles within the Taco Bell Corporation. He then led brand strategy, menu development, and product marketing for Burger King Corporation and Sonic Industries. Most recently at Focus Brands, Macaluso began as CMO of Moe’s Southwest Grill and ultimately rose to President of McAlister’s Deli, where he was responsible for significant growth in unit count, same store sales and profitability along with the launch of several technology initiatives. Despite his success with McAlister’s, Paul could not resist the opportunity to lead an iconic brand like Krystal into a new era. Founded in Chattanooga, Tennessee, in 1932, The Krystal Company is the oldest quick service restaurant chain in the South. Its hamburgers are still served fresh and hot off the grill on the iconic square bun at more than 360 restaurants in 11 states. Krystal’s Atlanta-based Restaurant Support Center serves a team of 6,000 employees. Pincho Factory (“Pincho” or the “Company”), the family owned Latin American fast-casual concept known for pioneering the combination of premium hamburgers and grilled kebabs (“pinchos”) with a Latin-twist, announced today that it has closed a Series A funding round with a group of investors led by Ned Scherer, a distinguished entrepreneur and successful multi-unit franchisee from the Washington D.C. market. Terms of the transaction, brokered by Exeter Capital Partners, were not disclosed. 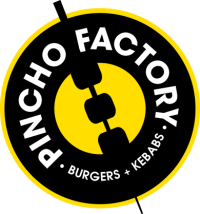 Based in Miami, Florida, Pincho Factory was founded during a 4th of July family BBQ in 2010 by three cousins Nedal Ahmad, Otto Othman and Nizar Ahmad. The brand quickly transpired into a successful collection of 10 restaurants throughout Florida. The rapidly expanding fast-casual food chain serves up pinchos, also known as kebabs, along with mouthwatering, premium hamburgers and a variety of other quality hormone-free food. 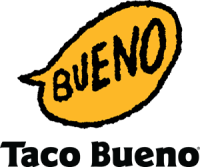 Taco Bueno announced today that it has appointed industry veteran Omar Janjua as Taco Bueno Restaurant’s chief executive officer, effective immediately. Janjua will oversee a team of corporate executives and more than 2,700 employees in four states from Taco Bueno’s headquarters in Irving, Texas. Janjua brings more than 35 years of quick serve restaurant (QSR) leadership to Taco Bueno. Most recently, Janjua served as the chief executive officer for The Krystal Company with more than 350 restaurants in 11 states. Prior to joining Krystal, he was president and chief operating officer for Sonic, where he oversaw operations, training, franchising, developing and quality assurance. Janjua also served as vice president and chief operating officer at Steak ‘n Shake after 18 years with Pizza Hut, where he provided support to 75 franchise groups operating 2,600 restaurants in 27 states. Janjua holds a Master’s Degree in Business Administration from Minnesota State University and is a graduate of Georgia Institute of Technology, with a major in Operations Management. In 2018, the North Texas-based Tex-Mex fast food chain announced its focus on its core business: providing the best tasting Tex-Mex for lunch and dinner, including a new customer-inspired menu. Most recently, Taco Bueno introduced the Pick 3 for $2.99 Menu, in which customers can build the ultimate combo meal for less than $3. Taco Bueno currently has 179 locations and offers door-to-door delivery options through a variety of delivery apps, including UberEats, GrubHub and DoorDash. Taco Bueno is committed to creating an authentic Tex-Mex experience. Taco Bueno is passionate about providing better tasting Tex-Mex, prepared daily with fresh, hand-selected ingredients. Founded in 1967 in Abilene, Texas, Taco Bueno operates 179 restaurants in Arkansas, Louisiana, Oklahoma and Texas. The company is privately owned by TPG Growth. Papa Murphy’s Holdings, Inc. (NASDAQ:FRSH) announced that Nik Rupp has been named Chief Financial Officer, effective April 9, 2018. As previously announced, Mark Hutchens, the incumbent Chief Financial Officer, will remain as Executive Vice President and Chief Operating Officer of the Company. Papa Murphy’s Holdings, Inc. (“Papa Murphy’s” or the “Company”) is a franchisor and operator of the largest Take ‘n’ Bake pizza brand in the United States, selling fresh, hand-crafted pizzas ready for customers to bake at home. The Company was founded in 1981 and currently operates more than 1,500 franchised and corporate-owned fresh pizza stores in 39 states, Canada and United Arab Emirates. Papa Murphy’s core purpose is to bring all families together through food people love with a goal to create fun, convenient and fulfilling family dinners. In addition to scratch-made pizzas, the Company offers a growing menu of grab ‘n’ go items, including salads, sides and desserts. Applebee’s Neighborhood Grill + Bar® announced Steve Levigne has joined its growing executive team as vice president of insights and analytics. Representing the eyes, ears and heartbeat of the brand, Levigne will help ensure Applebee’s remains guest-focused across all brand initiatives. In his new role, Levigne and his team will uncover insights and utilize advanced analytics to best position Applebee’s for enhanced relevance and sustained growth. He will report directly to Applebee’s president, John Cywinski. Levigne joins Applebee’s after a distinguished 23-year career at McDonald’s, most recently serving as vice president, strategy & insights for all 14,000 U.S. restaurants. In this role, Levigne was accountable for strategic planning, consumer insights, business analytics, guest satisfaction and industry tracking. He partnered with company and franchise leadership to build business and brand momentum at McDonald’s. Levigne holds a master’s degree from the Kellogg School of Management at Northwestern University. Goalz Restaurant Group plans to open and operate more than 250 restaurants over the next five years across ten states, with a goal to help employees become owners in their own restaurant or franchise and be known as the company that always goes an extra degree when it comes to food quality, guest service, friendly staff and restaurant cleanliness. The Pie Hole, the Los Angeles-based concept and fastest growing pie and coffee shop in the nation, has brought on restaurant industry veteran Edie Ames as Chief Executive Officer. Ames joins The Pie Hole’s team of established co-founders to oversee expansion efforts and continue launching the brand across the U.S. and abroad. Ames’ thirty-year career has spanned Chicago, Atlanta, and Los Angeles, where she has collected a wealth of industry knowledge and refined her passion for employee and guest care. Ames most recently served as President of The Counter and BUILT Custom Burgers, where she oversaw company-wide operations and growth of its franchises. Before that, Ames was the Executive Vice President of Operations for Wolfgang Puck Catering, the Chief Operating Officer at both Real Mex Restaurants and Del Frisco’s Restaurant Group, and the President at Morton’s of Chicago, Inc. She currently sits on the Board of Directors for The Cheesecake Factory, Inc. The Pie Hole is partnered with Fransmart, the industry leading franchise development company behind the explosive growth of brands like Five Guys Burgers & Fries and The Halal Guys, as their exclusive franchise development partner to grow the brand. The concept has also received financial capital from Kitchen Fund, a growth restaurant investor founded in partnership with Fransmart, to provide The Pie Hole with funding for infrastructure improvements and franchise or corporate growth. 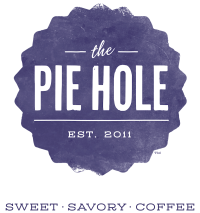 Featuring generations-old family pie recipes and an exclusive line of The Pie Hole Fair Trade Organic coffees, The Pie Hole is dedicated to offering delicious, distinctive flavors made with premium ingredients. The Pie Hole’s unique creations are available for breakfast, lunch, dinner and late night, along with the ability to accommodate large orders, corporate parties, and weddings. The Pie Hole has gained wide recognition, including being named “Top 12 Best Pies in America” by Conde Nast Traveler, “24 Of The Most Delicious Pies In America” by Buzzfeed, “The 22 best desserts in all of LA” by Refinery29, “50 Things You Need To Eat In LA Before You Die” by Spoon University, and was featured on The Cooking Channel’s Unique Eats. 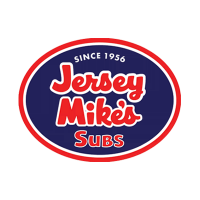 Jersey Mike’s Subs announced today the addition of two new members to its franchise sales team, Stephen Sweetman as Senior Director of Franchise Sales and Corby Cronin as Director of Franchise Sales. The tandem will help further Jersey Mike’s expansion efforts throughout the U.S. The company plans to develop more than 225 in 2018, primarily with existing owners. The early year success follows a strong 2017 for the brand, as Jersey Mike’s opened more than 170 new locations and achieved a six percent system-wide same-store sales increase. To build on this momentum, the brand will be exhibiting at booth #401 at the Multi-Unit Franchising Conference April 3-6 at Caesars Palace in Las Vegas, where Cronin and Sweetman will join VP of Franchise Sales Brian O’Hagan, as they meet with prospective multi-unit franchisees interested in joining the company. As Jersey Mike’s new Senior Director of Franchise Sales, Stephen Sweetman will be responsible for identifying and introducing qualified candidates to Jersey Mike’s. Prior to this role, his extensive franchising experience includes casual dining and fast casual restaurants. At Wingstop, he managed 16 states in the Southeast, Northeast and Mid-Atlantic, and was responsible for the creation and rollout of a franchise sales marketing plan that helped generate significant openings. Sweetman also previously spent eight years with FOCUS Brands as its director of franchise sales & real estate, managing activities for four brands in a 14-state territory in the Southeast, including Moe’s Southwest Grill. He was recognized repeatedly for his success there, including receipt of their Impact Player of the Year award. Cronin joins Jersey Mike’s after spending the past four years with Schlotzsky’s, where he was a President’s Club winner while director of franchise development. During his time with Schlotzsky’s, Cronin distinguished himself for identifying quality operators, both experienced multi-unit franchisees and in particular, small operators who grew into successful multi-unit store owners. He also worked for Dickey’s Barbecue for seven years, where he held a variety of positions including vice president of operations and director of franchise development. A graduate of Johnson & Wales, his chef experience underscores his passion for quality food and consistent operations, which is essential to Jersey Mike’s as it adds franchisees to its base of respected existing franchisees. Cronin will identify operators that fit the Jersey Mike’s lifestyle, which includes a passion for supporting the brand, people and community. Qualified multi-unit operators interested in joining the company’s rapid expansion are encouraged to visit booth #401 at the Multi-Unit Franchising Conference to discuss opportunities and sample its fresh, hand-sliced subs. Driven by the company’s high-quality product and passion for people, the fast casual sub sandwich franchise plans to open an additional 1000 restaurants nationwide by the end of 2020 and is seeking qualified candidates, and real estate, in numerous target markets throughout the U.S.
Jersey Mike’s is the nation’s leading fast casual sub sandwich franchise, with more than 1,500 locations open and under development throughout the U.S. Founded in 1956, the brand has been offering customers its signature authentic fresh sliced subs on freshly baked bread for more than 60 years. Since 2010, Jersey Mike’s locations throughout the country have raised more than $28 million for worthy local charities and distributed more than two million free sub sandwiches to help numerous causes. The company was ranked #1 on Franchise Times’ 2017 Fast & Serious list and #24 on Entrepreneur’s 2018 Franchise 500® list of the top franchises in the world. Jersey Mike’s is on track to have more than 2,000 stores open nationwide by 2020, and is currently seeking qualified single- and multi-unit operators to join the brand’s rapid expansion. Dunkin’ Donuts today announced Keith Lusby, 47, as the company’s new Vice President, Media. Mr. Lusby will lead Dunkin’ Donuts U.S. media planning, buying and placement strategies, from traditional media programming to innovative digital and emerging media partnerships. He will report directly to Tony Weisman, Chief Marketing Officer, Dunkin’ Donuts U.S.
With 25 years of marketing experience, Mr. Lusby has led successful, integrated campaigns for several global consumer brands. He comes to Dunkin’ Brands from MullenLowe Mediahub, named Adweek‘s 2017 U.S. Media Agency of the Year, where he led a 140-person media team supporting campaigns for brands including Chipotle, JetBlue, Ulta Beauty and Staples. Previously, Mr. Lusby held leadership positions with Carat and with Young & Rubicam, designing media strategies and plans for brands including Reebok, Pfizer, AT&T and Procter & Gamble. Mr. Lusby is the recipient of numerous prestigious marketing awards, including several Effies and a Silver Cannes Lion Award. He was named an Adweek Media All-Star in 2013. Founded in 1950, Dunkin’ Donuts is America’s favorite all-day, everyday stop for coffee and baked goods. Dunkin’ Donuts is a market leader in the hot regular/decaf/flavored coffee, iced coffee, donut, bagel and muffin categories. Dunkin’ Donuts has earned a No. 1 ranking for customer loyalty in the coffee category by Brand Keys for 12 years running. The company has more than 12,500 restaurants in 46 countries worldwide. Based in Canton, Mass., Dunkin’ Donuts is part of the Dunkin’ Brands Group, Inc. (Nasdaq: DNKN) family of companies. In keeping up with its strategic goals of developing winning teams and becoming the global franchisor of choice, Church’s Chicken® recently announced the promotion of Felicia White to Senior Director of Training & Development. White will now oversee and manage all training for Church’s domestic operations. White’s career with Church’s began in 2007 as a National Field Trainer. In her most recent role as Director of Training & Development, White has managed all program updates, developed a dynamic team of national field trainers and has been instrumental in upgrading Church’s training materials, allowing Church’s restaurant team to utilize content and materials that help drive restaurant performance and improve guest experience. White has also made large improvements in the execution of Church’s Certified Restaurant Training Program, the Pathways to Excellence training systems, the development and delivery of all training content and the training support for the brand’s annual Excellence in Leadership Conference. As the Co-Founder and Chairperson for the Church’s Women’s Forum—an internal organization focused on ways to create opportunities to motivate, retain and develop exempt employees within Church’s while fostering an inclusive work environment—White has played a tremendous role in elevating workplace performance and morale throughout the Church’s and Texas Chicken® brands. In her new role, Felicia will co-lead a cross-functional project team to deliver the annual Executive Leadership Conference. She reports to Church’s Senior Vice President of Operations, Brendan Berg. Founded in San Antonio, TX in 1952 by George W. Church, Church’s Chicken® is one of the largest quick service restaurant chicken chains in the world. Church’s® specializes in Original and Spicy Chicken freshly prepared throughout the day in small batches that are hand-battered and double-breaded, Tender Strips®, honey-butter biscuits made from scratch and freshly baked, and classic, home-style sides all for a great value. Church’s® (along with its sister brand Texas Chicken® outside the Americas) has more than 1,600 locations in 27 countries and international territories and system-wide sales of more than $1 billion. Church’s Chicken®, one of the largest fried chicken chains in the world, is once again demonstrating its commitment to igniting growth and developing winning teams with its latest promotion of Ada Duque. Duque, the woman behind some of Church’s® most innovative limited-time offers, has been promoted to Director of International Research & Development. Duque began her Church’s career in 2013 as a Senior Research & Development Manager in Atlanta, GA where she handled domestic product development and brought a keen creative passion to the Church’s team. She has since excelled in building relationships with suppliers and franchisees, and in providing innovative new ideas to grow the Church’s brand. In her most recent role, Duque was responsible for supporting international product development of the full menu. Her product innovations have been the cornerstone of some of Church’s most successful promotional product campaigns, such as Church’s Honey-Butter Biscuit Tenders and Smokehouse Chicken. Duque will now lead all product innovation outside of the U.S. and report directly to Senior Vice President of Research & Development, Kirk Waisner. While Church’s continues its journey to becoming a global QSR leader in flavor—Duque will continue her efforts to develop distinctive, permanent menu items and LTOs by bringing more locally relevant and unique tastes to guests. Duque earned her Bachelor’s degree in Food Engineering at Jorge Tadeo Lozano University in Bogota, Colombia. J. Alexander’s Holdings, Inc. (NYSE: JAX) (the Company), owner and operator of the J. Alexander’s, Redlands Grill, Stoney River Steakhouse and Grill and Lyndhurst Grill collection of restaurants, today announced the promotion of Jason S. Parks to Vice President and Chief Information Officer of the Company. Lonnie J. Stout II, President and Chief Executive Officer, made the announcement and said Parks has already assumed his new role. Prior to being named to his present executive post earlier this year, Parks served the Company as the Director of Information Systems. He held the same position with J. Alexander’s Holdings, LLC and subsidiaries from February 2013 to February 2018, and with J. Alexander’s Corporation from July 1996 to February 2013. Parks joined the Company in May 1991 as a server in the first J. Alexander’s restaurant in Nashville, and was later promoted as the first internal management hire. Parks served in restaurant management from January 1992 to July 1996. He holds a Master of Science in Information Systems from the Raymond J. Harbert College of Business at Auburn University. J. Alexander’s Holdings, Inc. is a collection of restaurants that focus on providing high quality food, outstanding professional service and an attractive ambiance. The Company presently operates four complementary restaurant concepts: J. Alexander’s, Redlands Grill, Lyndhurst Grill and Stoney River Steakhouse and Grill. The Company has 44 restaurants in 15 states, with its headquarters in Nashville, TN. Capriotti’s, a Las Vegas-based sandwich shop known for its award-winning, hand-crafted sandwiches, announced Dennis Watts will join the Capriotti’s leadership team as the Vice President of Real Estate. As the VP of Real Estate, Watts will help franchise partners scout and acquire ideal locations for building their restaurants. Founded in 1976, Capriotti’s Sandwich Shop is an award-winning fast-casual sandwich franchise that remains true to its 40-year tradition of slow-roasting whole, all natural turkeys in-house every day in a welcoming atmosphere. The Bobbie®, Capriotti’s signature sub, was voted “The Greatest Sandwich in America” by thousands of readers across the country and reported by AOL.com. Capriotti’s currently has 100 locations in 18 states, and plans to expand to 500 locations nationwide by 2025. 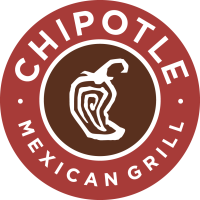 Chipotle Mexican Grill (NYSE: CMG) today announced that it has hired Chris Brandt as chief marketing officer, effective April 2. Brandt will report to chief executive officer Brian Niccol. Most recently, Brandt was at Bloomin’ Brands, where he served as executive vice president and chief brand officer across Outback Steakhouse, Carrabba’s, Bonefish Grill, and Fleming’s. In this capacity, he oversaw a 75-person brand team and held responsibility for product innovation, brand positioning, product pipeline development, consumer insights, creative strategy and development, media strategy, loyalty, and digital marketing across all four dining concepts. Prior to his time at Bloomin’ Brands, Brandt served as chief brand and marketing officer at YUM! Brands’ Taco Bell, where he led marketing and food innovation. He oversaw numerous successful new products including Doritos Locos Tacos and the quesalupa, new dayparts such as Happier Hour and breakfast, digital initiatives such as the Taco Bell app, as well as other innovative media and sponsorship programs. Before joining Taco Bell, he held senior level marketing and brand development positions with Odwalla/Coca Cola and General Mills. Brandt holds a Bachelor of Arts Degree in Economics from the University of California, San Diego, and a Master’s Degree in Business Administration from the Anderson School of Management at the University of California, Los Angeles. Wingstop Restaurants Inc., the award-winning wing concept with more than 1,100 locations worldwide, announced that Flynn K. Dekker has resigned as Chief Marketing Officer, effective March 21. Dekker plans to take a sabbatical and spend time with family. Dekker has agreed to provide consulting services to the company after his resignation date to ensure continuity and an effective transition. An executive search is currently underway for a new Chief Marketing Officer. “We thank Flynn for his leadership and many contributions to Wingstop. Flynn has been instrumental to Wingstop’s success and has helped position the brand for continued success well into the future. He has been a valued friend and business partner and he will be greatly missed,” says Charlie Morrison, chairman and chief executive officer of Wingstop. Founded in 1994 and headquartered in Dallas, Texas, Wingstop Inc. franchises more than 1,100 locations and as of the end of 2017, the Company had over 1,000 signed commitments for new restaurant development globally. The Wing Experts’ menu features classic and boneless wings with 11 bold, distinctive flavors including Original Hot, Cajun, Atomic, Mild, Teriyaki, Lemon Pepper, Hawaiian, Garlic Parmesan, Hickory Smoked BBQ, Louisiana Rub, and Mango Habanero. Wingstop’s wings are always cooked to order, hand-sauced and tossed and served with a variety of house-made sides including fresh-cut, seasoned fries. In an effort to bring Primo Hoagies to a national level, the organization recently hired Derik Beck as the vice president of marketing and Adam Biedenbender as the vice president of development specializing in Franchise Development. Biedenbender joins the Primo Hoagies team with an extensive background in franchise multi-unit development. He is well known throughout the franchise industry for creating strong relationships with franchisees and identifying great partners for franchise expansion. Biedenbender has worked with several prominent franchise organizations around the country, including: Rita’s Water Ice, Dunkin Donuts, Quiznos, Remax, Smash Burgers and Papa Murphy Restaurants. Currently, Primo Hoagies franchises are located in seven states, including: Pennsylvania, New Jersey, Delaware, South Carolina, Florida, Maryland and Virginia, with more than 90 stores open. There are 52 stores in Pennsylvania with the newest location, Primo Hoagies Kennett Square, which opened on February 13, 2018. The description of a sandwich being called a “hoagie” is unique to Philadelphia much like the Primo Hoagies brand. Primo Hoagies co-founder Rich Niegre opened his first store on Ritner Street in South Philadelphia in the 1990’s. From there the brand expanded into Center City, Philadelphia and into the South Jersey market. Soon after, Niegre decided to franchise the brand. Fiorentino explains that Primo Hoagies’ is held in high regard among Philadelphians because of its top quality ingredients that fill the options on the menu at all stores. The menu is also consistent, always offering Old Fashioned Style Specialty Sandwiches unique and original to Primo Hoagies. Looking to the future, Beck is charged with increasing Primo’s online presence, increasing same store sales and the Primo Hoagies distribution process throughout the United States. He will also concentrate on expanding the brand using his unique social media strategies. Together, Beck and Biedenbender, will build franchisee relations and support the marketing efforts of each individual franchise. The Habit Restaurants, Inc. announced Thursday that Matt Hood, chief marketing officer, will leave the company to pursue another opportunity. The company has initiated a search for his replacement. The Habit Burger Grill is a burger-centric, fast casual restaurant concept that specializes in preparing fresh, made-to-order chargrilled burgers and sandwiches featuring USDA choice tri-tip steak, grilled chicken and sushi-grade tuna cooked over an open flame. In addition, it features fresh made-to-order salads and an appealing selection of sides, shakes and malts. The first Habit opened in Santa Barbara, California in 1969. The Habit has since grown to over 215 restaurants in 11 states throughout California, Arizona, Utah, New Jersey, Florida, Idaho, Virginia, Nevada, Washington, Maryland, and Pennsylvania as well as three international locations. Dunkin’ Brands Group, Inc., (Nasdaq: DNKN), the parent company of Dunkin’ Donuts and Baskin-Robbins, today announced the promotion of three executives to vice president roles. The promotions include Brian Gilbert to Vice President, Retail Business Development; Frank Barone to Vice President, Financial Management & Business Analytics; and Mathias Piercy, to Regional Vice President, South Central. “I am delighted to announce the promotions of three talented members of the Dunkin’ Donuts team. Brian, Frank and Mathias have made significant contributions to our success and bring a wealth of experience to their new roles. With their passion for results, deep understanding of our business, and leadership capabilities, I am confident they will help us continue to capitalize on the growth potential of both the Dunkin’ Donuts and Baskin-Robbins brands,” said Dave Hoffmann, President, Dunkin’ Donuts U.S.
Brian Gilbert will be responsible for growing the company’s global consumer packaged goods business and channel partnerships for both Dunkin’ Donuts and Baskin-Robbins, which includes driving strategic partnerships with The Coca-Cola Company, The J.M. Smucker Company, Keurig Green Mountain, JetBlue Airways Corporation, Amtrak and other retailers. Mr. Gilbert has been with Dunkin’ Brands for 14 years, during which time he and his team have successfully developed and launched several key products and programs, including Dunkin’ Donuts K-Cup® Pods, Dunkin’ Donuts ready-to-drink iced coffee beverages and the Dunkin’ Donuts-Amtrak partnership. Mr. Gilbert has 30 years of experience helping prominent consumer brands grow through retail. His background includes management positions with Ocean Spray Cranberries, Inc., Quaker Oats Company’s Gatorade Division and Pepsi-Cola Company. Frank Barone will be responsible for providing tactical and strategic direction to the business analysis finance function across both brands. In his new role, he will lead the Business Analytics teams for both Dunkin’ Donuts and Baskin-Robbins U.S., focusing on sales forecasting and reporting, promotional and test analytics, demand planning and management of marketing spend. He will work closely with Marketing, Operations, Supply Chain and key franchisee advisory bodies to ensure alignment on processes and procedures to manage all aspects of product demand. Mr. Barone and his team will assume additional responsibility for brand and loyalty customer level analytics and reporting. Mr. Barone joined Dunkin’ Brands in 2001 and prior to his promotion served as Senior Director, Business Analytics, where he was responsible for the management of Dunkin’ Donuts U.S. Advertising Fund, Dunkin’ Donuts Demand Planning function and Dunkin’ Donuts and Baskin-Robbins Business Analytics. Prior to Dunkin’ Brands, Mr. Barone served as Financial Analyst for Northrop Grumman Corp. / DOD Consultants, LLC, and as Business Analyst for Public Consulting Group. Mathias Piercy will lead operations and development for Dunkin’ Donuts’ South Central region. Mr. Piercy has 25 years of quick service restaurant experience beginning with his first job as a shift manager in high school. He has been with Dunkin’ Brands for 10 years, first serving as an Operations Manager and Business Development Manager, and then Operations Director for Mid-Atlantic in 2014. Most recently, he supported operations for all U.S. combo restaurants as Combo Operations Director where he played a critical role in the development and implementation of the Baskin-Robbins brand strategy, while also serving as the operations lead for Dunkin’ Donuts’ NextGen restaurant design, which is an important part of the brand’s multi-year Blueprint for Growth plan. Prior to Dunkin’ Brands, Mr. Piercy held various management and operations positions with other franchise networks, including Taco Bell and KFC. With more than 20,500 points of distribution in more than 60 countries worldwide, Dunkin’ Brands Group, Inc. (Nasdaq: DNKN) is one of the world’s leading franchisors of quick service restaurants (QSR) serving hot and cold coffee and baked goods, as well as hard-serve ice cream. At the end of the fourth quarter 2017, Dunkin’ Brands’ 100 percent franchised business model included more than 12,500 Dunkin’ Donuts restaurants and nearly 8,000 Baskin-Robbins restaurants. Dunkin’ Brands Group, Inc. is headquartered in Canton, Mass. 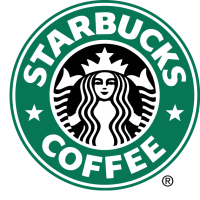 Starbucks Corporation announced that Rachel Gonzalez, formerly Chief Administrative Officer for Sabre Corporation, will join Starbucks as executive vice president, general counsel and secretary, reporting to president and chief executive officer, Kevin Johnson. At Starbucks, Gonzalez will lead will lead the Law & Corporate Affairs (L&CA) department, support the Starbucks Board of Directors and serve as a member of the company’s executive leadership team. In her previous role at Sabre, Gonzalez led a global team responsible for human resources, corporate communications, legal strategy, regulatory affairs, corporate compliance, and government affairs. She joined Sabre in 2014 as Executive Vice President and General Counsel. Prior to joining Sabre, Gonzalez served as Executive Vice President, General Counsel and Corporate Secretary with Dean Foods in Dallas, Texas. Previously, Gonzalez was Senior Vice President and Group Counsel with Affiliated Computer Services. Earlier in her career, Gonzalez was a partner with the law firm of Morgan, Lewis & Bockius, where she focused on corporate finance, mergers & acquisitions, SEC compliance and corporate governance. Gonzalez earned a bachelor’s degree in Comparative Literature with high honors from the University of California, Berkeley. She also earned a law degree from the Boalt Hall School of Law at the University of California, Berkeley. Chipotle Mexican Grill Inc.’s chief marketing and strategy officer has resigned, the company said on Wednesday, just nine days after former Taco Bell head Brian Niccol took the helm at the troubled U.S. burrito chain. Some campaigns left customers and rival marketers scratching their heads. For example, Chipotle’s June 2017 buy-one-get-one-free advertisement for nurses showed a foil-wrapped burrito “dressed” in blue scrubs and a stethoscope. The text read “Code Burrito” – leaving some viewers to think of “Code Blue” medical emergencies. Hartung’s and Crumpacker’s retention agreements included several scenarios for payment upon their early departures – including reductions in duties and moving primary work locations by more than 30 miles. Kathie S. Niven has been named president of Greensboro-based Biscuitville Fresh Southern. Niven joined Biscuitville in 2011 and most recently served as the company’s Chief Brand Officer. In conjunction with the promotion of Niven, Kristie Mitchell has been promoted to Vice President of Brand and Marketing. While Chief Brand Officer, Niven was responsible for defining and accelerating Biscuitville’s brand vision and growth plan. As part of the company’s strategy, she oversaw the creation of Biscuitville’s Fresh Southern brand positioning, which encompassed logo development, restaurant redesign, packaging, employee uniforms, and trademarking. Niven also spearheaded the design of the company’s new People Excellence department as well as a new Menu Management Assembly process, which produced the most successful promotional product-launch in company history – the Spicy Chicken and Honey Biscuit. In addition, Niven introduced an in-house agency model at Biscuitville by building a team responsible for all communications and marketing initiatives, including photography, videography, media production, artwork and design, promotional material fulfillment, public relations, online retail, local store marketing, social media and content management. She also developed Biscuitville’s Collegiate Summer Intern Program. Earlier in her career, Niven served as Vice President of Field Marketing for Quiznos Corporation and marketing executive with RTM/Arby’s Roast Beef Corporation, Burger King Corporation, and Krispy Kreme Doughnut Corporation. She received a B.A. degree in English with a minor in communications from Elon University. Niven’s post-graduate studies and professional development included course work in leadership, branding and strategy at the Center for Creative Leadership, the Kenan Flagler Business School at UNC-Chapel Hill and Design Thinking at Harvard University. Mitchell joined Biscuitville in early 2015 as Senior Brand Creative and was responsible for overhauling everything from the brand’s extensive marketing collateral program to its restaurant menu boards. A year later, Mitchell became the company’s first-ever Creative Director and spearheaded the development of Biscuitville brand strategic vision. With more than 25 years of experience developing brands as a creative marketer, Mitchell began her career as an art director for the full-service advertising agency Bouvier Kelly in Greensboro, where she was responsible for design and advertising campaigns for global companies including International Paper and Philip Morris. Mitchell formed her own creative solutions business called K. White Creative in 2008. During her career, Mitchell has won multiple national awards for art direction and design. Fazoli’s, America’s largest fast casual Italian chain, announced today after a long and illustrious restaurant industry career spanning forty-three years – including the past twenty-four years with Fazoli’s – Vice President of Franchise Sales Sam Nelson will retire effective March 21st. Sam’s affiliation with Fazoli’s dates all the way back to 1985 when the concept was originally conceived by parent company Jerrico, Inc. He was an integral part of the team that opened the first five Fazoli’s in Lexington, KY before leaving Jerrico to purchase The Coach House Restaurant – at the time the only Mobil Five-Star restaurant in the State of Kentucky. In 1992 Sam was inducted into the Nation’s Restaurant News Fine Dining Hall of Fame. With approximately 220 restaurants in 27 states, Fazoli’s is America’s largest Italian fast casual chain, serving freshly prepared entrees, Submarinos® sandwiches, salads and pizza. One of the New York Post’s five breakout fast casual restaurants and a FastCasual.com Brand of the Year, Fazoli’s franchisees are experiencing record sales growth.